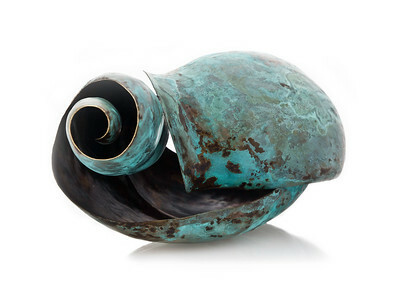 Loretta Tryon, a contemporary metalsmith and painter based in the Lehigh Valley, is originally from Philadelphia, Pennsylvania. 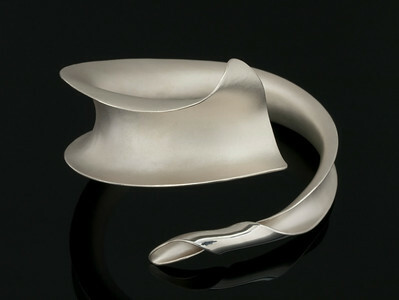 Loretta received her BFA in metalsmithing and abstract drawing from Moore College of Art and Design. During this time she was also studying ceramics, printmaking and dance. 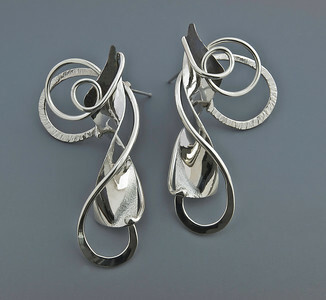 After making jewelry for many years she found the forming techniques that would visually combine motion and gesture in metal. Loretta makes three-dimensional shapes from images found in her abstract paintings past and present, embellishing the surface with patinas and engraving. 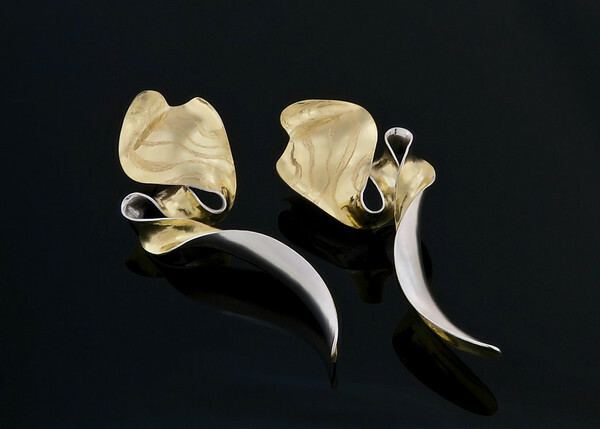 Designs are drawn, made into templates, and hammerformed by the artist in fine silver, Argentium sterling and bronze. It is through this arduous process, that allows Loretta to move through each layer of design; the result is a refined and elegant wearable sculpture each with graceful curves and unique details. Working from her independent studio in Coopersburg, PA since 1999, Loretta has exhibited in numerous gallery and retail shows. Her work has been exhibited with Artistar Jewels in Milan, Italy, The Kimmel Center in Philadelphia, The State Museum of Pennsylvania and The Reading Public Museum. Most recently, her work was published in "21st Century Jewelry", “1000 Beads” and featured on the title page of “500 Silver Jewelry Designs” by Sterling Publishers.